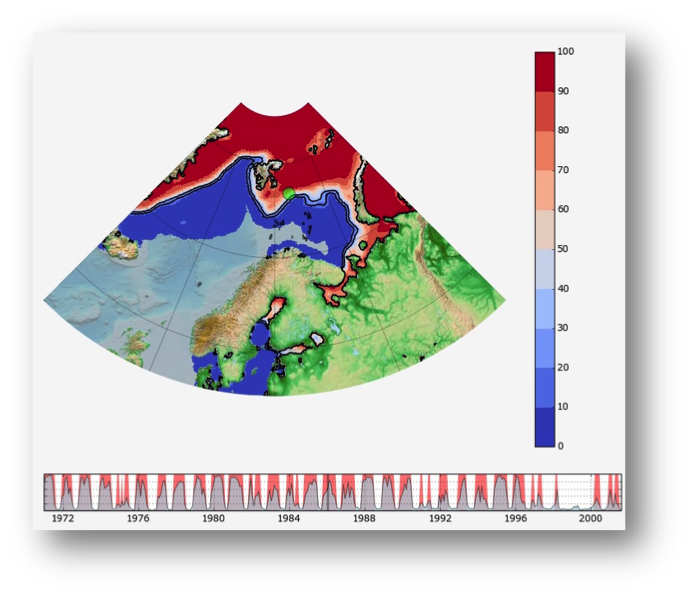 Together with Aker BP, Kalkulo has developed the MetOcean software for interactive analysis of meteorological, climate, and environmental data. The software supports import and aggregation of transient geospatial data from a wide range of sources, covering both physical observations and quantities derived by means of numerical and statistical models. The purpose of the tool is to provide environmental and operative decision support in ice-covered waters. See also the technology overview. Providing important functionality needed for business decisions that is lacking in the standard tools used by the wind industry, Kalkulo has developed the Torch software together with Statkraft. By interactive and totally transparent analysis of data acquired from all turbines in a wind farm, or even across a collection of wind farms, Torch delivers the insight needed for making the correct assessments and the right decisions. See also the technology overview. Through previous partnership in Center for Cardiological Innovation, a national center for research-based innovation, Kalkulo has collaborated with cardiologists at Oslo University Hospital in order to develop Pacertool. This software is used in the operating room during implantation of pacemakers to give the surgeon a mixed visualization of the patient's live x-ray imagery and live impedance measurements of the cardiac tissue draped on a geometrical model of the heart. The purpose is to identify the best possible location of the pacemaker electrodes for the specific patient. In another project we develop advanced visualization software for animated 3D stereographic visualization, also for use in the operating room.